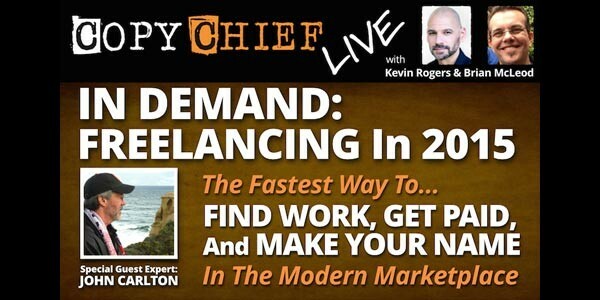 Brian McLeod | Direct-Response Copywriter, Expert Marketing Consultant | LoudMac Creative, Inc. — Brian McLeod | Direct-Response Copywriter, Expert Marketing Consultant | LoudMac Creative, Inc.
Join me and the Copy Chief himself, Kevin Rogers for another jam-packed Copy Chief Live Training session on Tuesday March 31st at 3 PM Eastern. Our special guest is the one and only John Carlton. Kevin shot a quick 3 minute video with all the details here..
Video Sales Letters just got a LOT smarter… Watch and see!